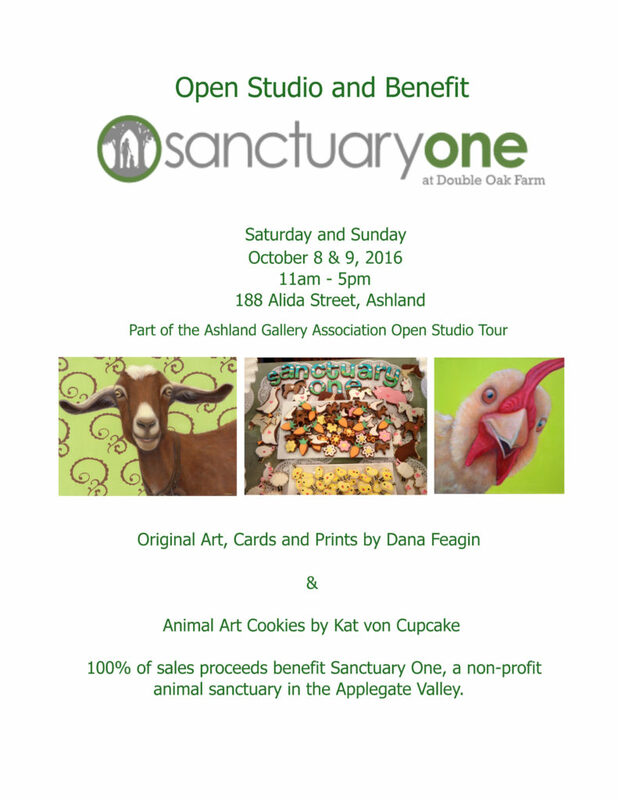 I am once again participating in the Ashland Gallery Association Open Studio Tour. This year, all sales during that weekend will benefit Sanctuary One, a non-profit animal sanctuary in the Applegate Valley. In addition to my animal paintings, prints, and cards, Kat von Cupcake’s animal art cookies, and raffle tickets for a stay in Sayulita, Mexico, will also be available for purchase to benefit the Sanctuary. Tour hours are 11am – 5pm on October 8 & 9. Maps are available at all Ashland galleries and at Sanctuary One. I hope to see you here!